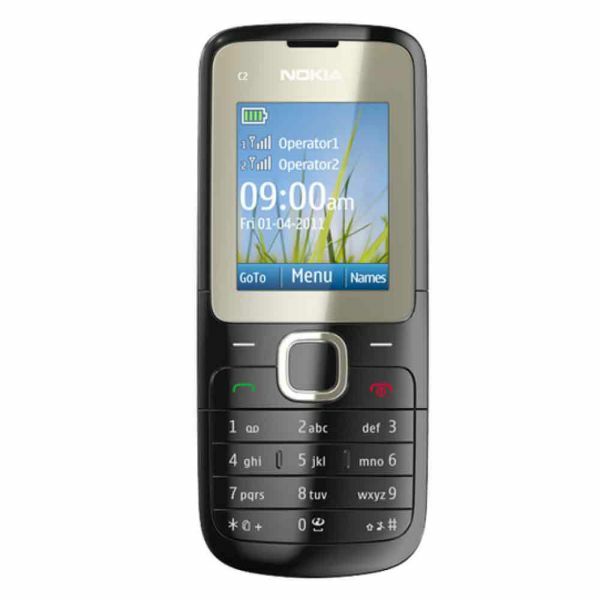 The Nokia C2-00 is low end mobile phone targeted at the emerging markets and is a basic entry level product. 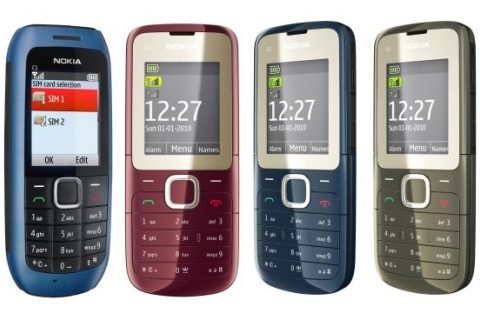 This humble new edition by Nokia might look ordinary but is very handy and productive. It comes with all the normal features that a new buyer expects from his first phone in this new age, which include Bluetooth, FM radio, a memory card slot, VGA camera and it is also accompanied by a WH-102 stereo headset for crystal clear sound quality. However, these important features come with the phone’s ability to handle two SIM cards at the same time. 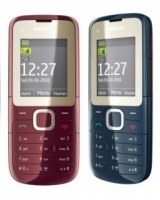 This is the first dual SIM phone that Nokia has come up with. The phone can use both the SIM cards at the same time, a feature that many other companies had started providing ahead of Nokia. 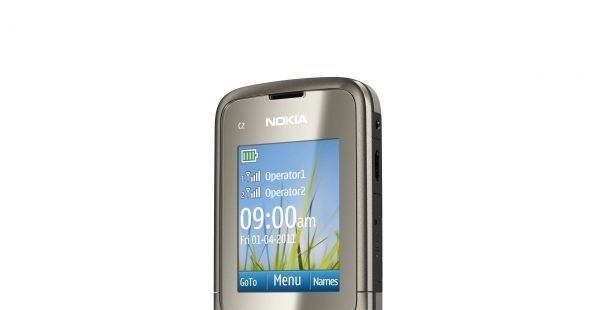 Nokia C2 is a high performance phone when compared to its competitors in the same price range. The sound quality is good and the only problem is that it catches a lot of background noise too and makes the voice of the caller come out distorted if they are speaking from a crowded place. The camera does not come with flash and images are barely recognizable when clicked at night. The phone’s GPRS and WAP services work very well and assure you connectivity throughout, almost as good as any smart phone. Checking mails and using Facebook would not require you to sit with a PC anymore and you can stay in touch with your friends on the go. The prime feature of the phone is its ability to use two SIM cards at the same time. The phone is WAP/GPRS enabled and allows seamless connectivity. 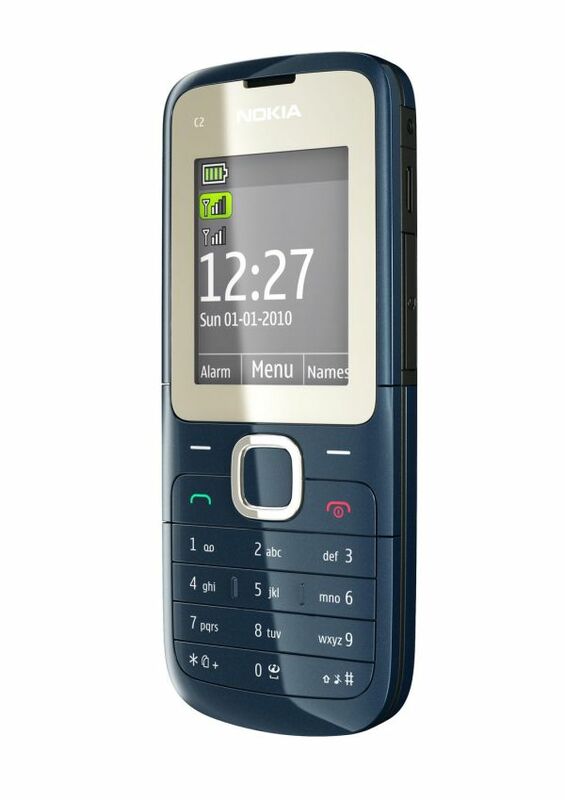 The operating system used for this phone is Symbian S40. The display is a 1.8-inch screen with resolution of 128 x 160. The camera is of 0.3 Mega pixels and is VGA. The memory card slot supports Micro SD cards and can be expanded up to 32 GB. It has other normal features like MP3 player to play songs from your memory card, SMS/MMS feature, stereo FM radio and is also equipped with Bluetooth. Nokia has further added some applications, which include Nokia’s Ovi Life Tools, Nokia Messaging and OVI Mails, to make life easier for the user. 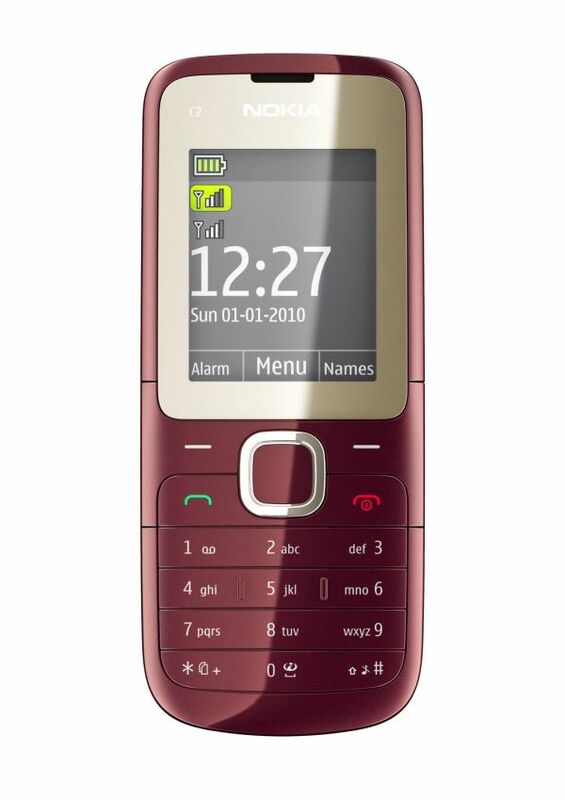 Nokia C2-00 has the simplest of designs and is easy to understand for any age group of people. The two large keys, typical Nokia styled, sit right below two soft keys. These surround the D keypad which is placed in the center and is used for maneuvering through various menus. The TFT screen is of 1.8 inches with a resolution of 128 x 160. This need not be criticized because there are still smart phones that are available in the market with similar resolution and some low-end phones have even worse displays. The D-keypad and the soft keys are user friendly but somewhat stiff, as compared to the call keys. The D-keypad comprises of five keys, four of them are the directional ones and the center one is used as the affirming key. The number keys are big, evenly spaced but flat, with only two nubs around the 5 key to help with touch orientation. The audio jack is 3.5 mm which sits comfortably on the top and is easily accessible. The lanyard eyelet is placed on the left side, while the mouthpiece is right at the bottom. The VGA camera and the loudspeaker fill the two cavities on its back. The camera covered by the glass can be easily damaged because it remains exposed but can be changed with the back cover. 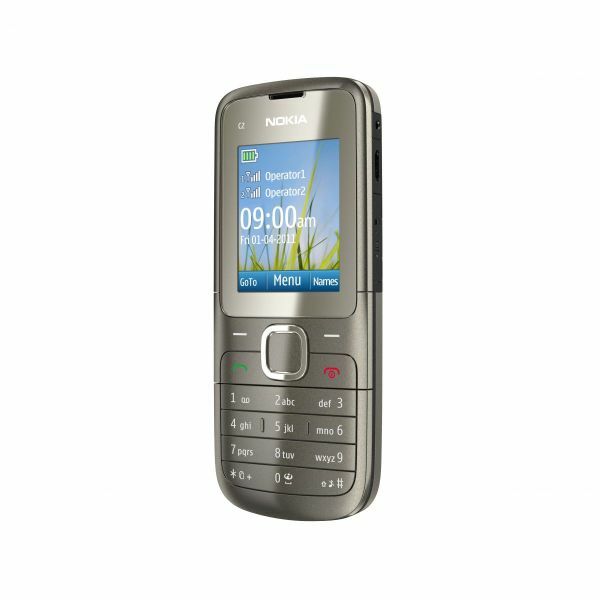 The Nokia C2-00 is a complete package, consisting of every possible feature that you would demand from a low-end product. The design is very simple and user friendly, and the build of this humble phone is very strong and can withstand rough usage. The Internet facility is also a great new addition that will boost its ratings. The phone’s main feature is its ability to use two SIM cards at the same time. The pricing of the phone is such that you will be left with very less reasons to complain about. The phone is worth its price and is a very good choice for new buyers. Is i9 cell phone really worth buying? How to send E-mail text to Verizon? Buy cheap unlocked cell phones?